Of all the adjectives we might apply to Google, relentless increasingly feels the most apt. The more you use the company’s offerings, the more you should like this trait, because something enormously powerful is taking shape—a collection of services that will make a lot of people’s daily lives easier to manage. But as Google showed this week at its annual I/O conference for developers in San Francisco, that relentlessness comes at a price. We are collectively handing over not just our data to a corporate giant, but also the content of our lives—and in the process giving the company unprecedented power. When I say “we” I’m including myself in part, but I hand over far less than most others. While I admire much of what Google has done and what it’s doing, I’m not remotely willing to upload my digital existence into its global brain. More than not, and despite incidents that should worry everyone, I trust the current management not to abuse the power it’s amassing as it collects, analyzes, and acts on all that information, but I have no doubt that some future management could laugh out loud at the quaint “Don’t be evil” mantra that the company, more than not, tried to follow in its early days. What the public sees and interacts with in the Google ecosystem doesn’t seem especially deep: search, email, calendars, mobile, and more. But everything we do feeds the data maw that Google uses to improve the surface tools and services. It’s all what people call a positive feedback loop—and Google’s shareholders are ultimately getting the most from the deal. At I/O, the company unveiled a new photo-management system called, unsurprisingly, Google Photos. I loaded the mobile app on a phone, and, indeed, it’s a vast improvement over what I was using. But Google wants me to upload all of my photos, no matter when I took them, into its servers. In return I’ll be able to look through them more efficiently, and Google will helpfully tag them, identify people in them, sort them in various ways, and in general give me better ways to manage them. I’m deleting the app, now that I’ve tried it, on the principle that the greater ease of use isn’t worth the trade-off, just as I don’t use Gmail for my primary email accounts. When the company says this is all “for your eyes only,” as an executive did in the I/O keynote, I roll my eyes. In reality it’s for my use, plus Google’s and anyone who has a subpoena, court order, or National Security Letter. Likewise, Google Now—a digital personal assistant based, externally, on voice interaction—looks more amazing every day. At I/O, it was all about context: bringing up links to services and other sites you’re likely to need or want, without being asked. Yay! Yikes! It’s only fair to note that Google, unlike some tech companies, does pay more than lip service to giving users privacy and opt-out options (though not to the degree I believe it should). The next version of the Android mobile operating system will allow users to modify “app permissions” on a much more granular basis. This means we’ll be able to block apps from doing things we don’t want them to do, such as collecting our locations at all times when they have no legitimate reason for doing so. (I can do this now with my phone running the Cyanogenmod operating system, which is a version of Android that’s been modified for better privacy and other enhancements.) 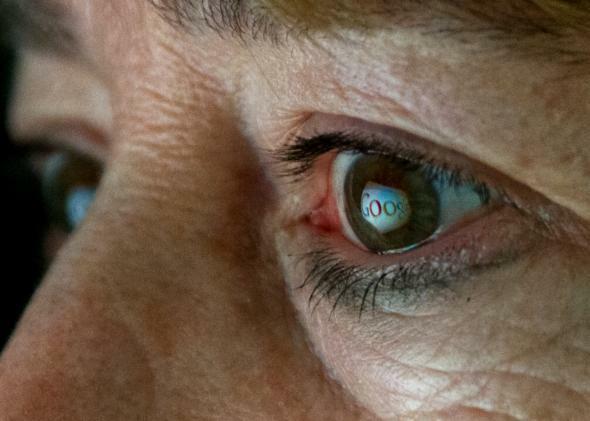 It’s not clear yet whether users will be able to lock down privacy invasions from Google’s own apps and services; either way, it will speak to the company’s commitment, or lack thereof, in this arena. How will Google—and the other tech companies that have made surveillance their business model—protect our privacy when they persuade manufacturers to support their Internet of Things ecosystems? Google and others have made a half-compelling case for our homes and cars being smarter, more adaptable, and more efficient, but the industry has done very little to persuade me that they won’t ultimately give spies, including themselves, a collection of windows into the most private parts of our lives. Again, what’s essential to remember in our understandable bedazzlement over the improved tools and services is what they’re based on: feeding data to Google’s beyond-massive databases, which then sends back relevant and useful information. Sure, our phones are more powerful today than “supercomputers” were a generation ago, but they have ant brains compared with the one inside Google’s leviathan. The Google global brain is still an adolescent. But it’s growing up. Can we expect that the people who control it in the future will always have our interests at heart? If you believe they will, I’d like to know why.